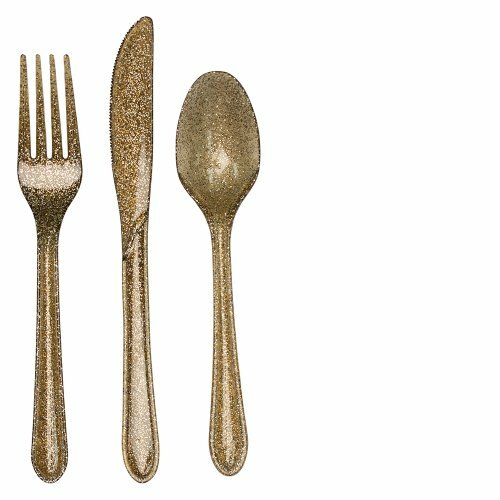 Set the table with flair using Cutlerex Gold Plastic Flatware Set. Its sleek handles with gold shine will convince your diners it's the real deal and match any upscale table decor. 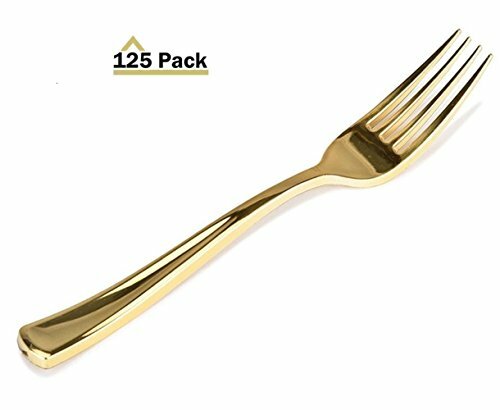 Rest assured you'll have plenty of silverware at your wedding, rehearsal dinner, anniversary celebration or corporate event with this pack of forks, spoons and knives. And when the party is over, disposable cutlery makes cleanup a cinch and also worry free about expensive silverware being accidentally thrown away. 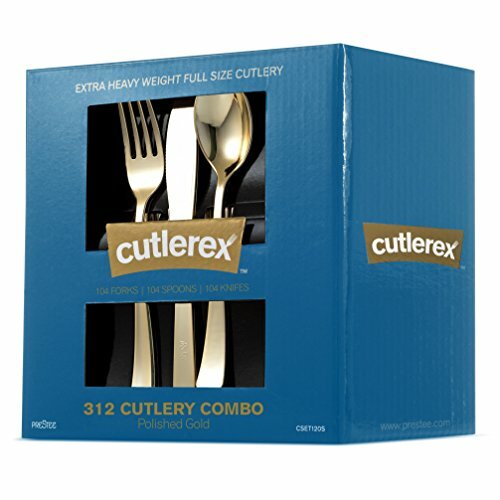 Cutlerex cutlery - designed for easy entertaining. 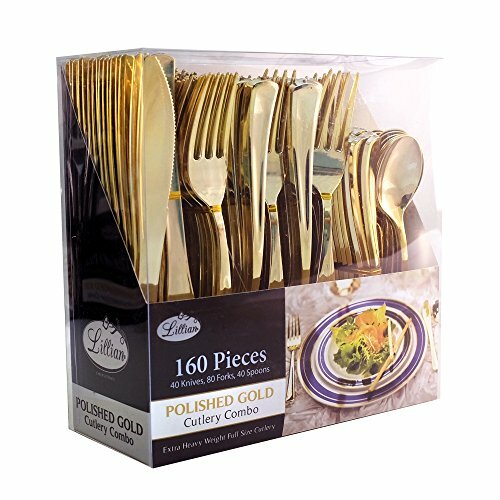 Set the table with flair using Cutlerex Gold Plastic Flatware Set. Its sleek handles with gold finish will convince your diners it is the real deal. Including forks, knives, and spoons, you'll have enough silverware to serve plenty of guests at your wedding, rehearsal dinner, anniversary celebration or corporate event. And when the party is over, disposable cutlery makes cleanup a cinch and worry free about expensive silverware being accidentally thrown away. 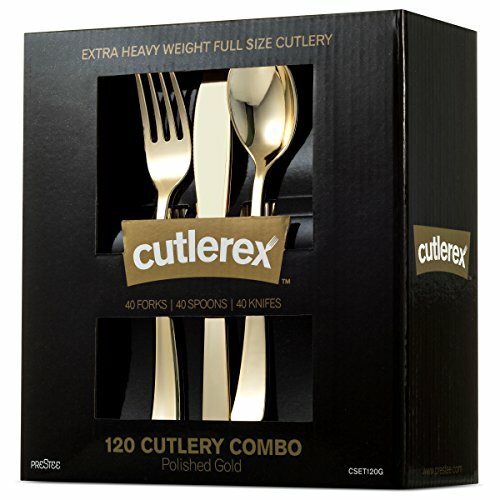 Cutlerex cutlery, designed for style and comfort. 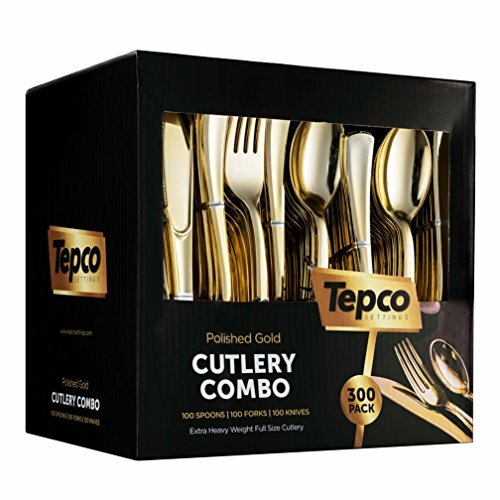 Looks like real gold plastic utensils, disposable, reusable and durable cutlery perfect for big family meals or special events and banquets that makes your event an elegant modern touch. PAY FOR HEALTH - Our disposable cutlery is 100% BPA free plastic that safe and long lasting!WOW- SAFETY FIRST!!! 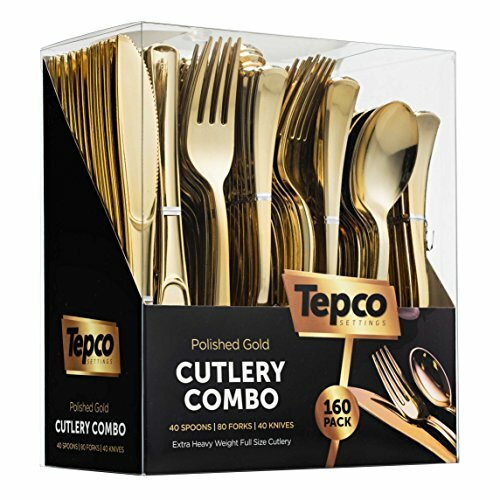 DURABLE PACKING - Using sturdy wrap can protect the plastic gold flatware avoid any damage in transit!GREAT!!! 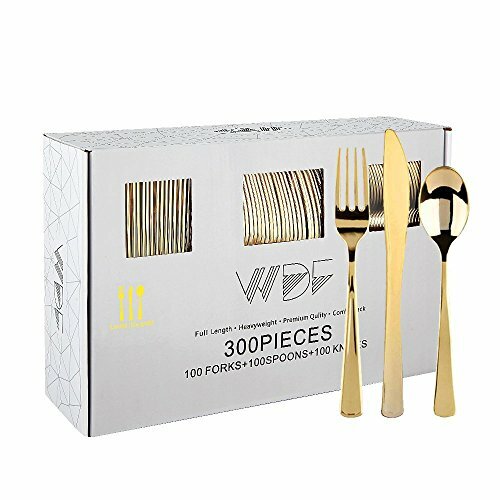 PERFECT A BIG FAMILY - The elegant cutlery includes 100 forks, 100 spoons and, 100 knives,perfect set for a big family as it will dress up your parties. TIPS&ADVICE: Disposable- Save clean up time to washing large quantities of dishes. Reusable-Please clean and dry the cutlery,stored in dry place for next use. Hand washable-Please wash durable plastic silverware by hand, don't put into Microwave oven and dishwasher. Thank you for choosing WDF. Wish you enjoy a HEALTHY & HAPPY LIFE with our products. 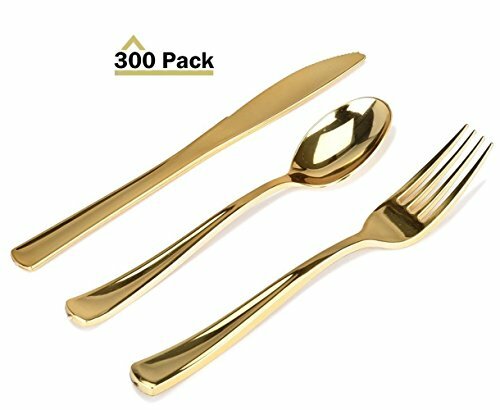 Copyright © Wholesalion.com 2019 - The Best Prices On Gold Plastic Cutlery Online.